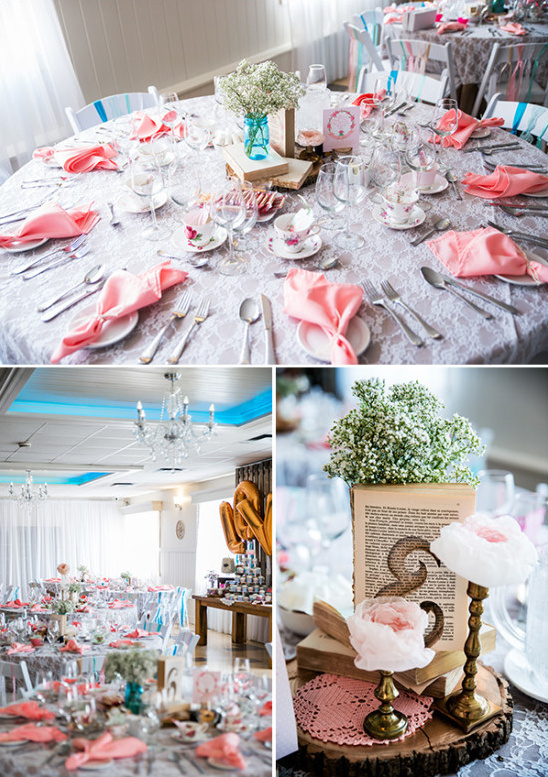 This pink and blue tea party wedding is quirky rustic and vintage with a subtle hint of Alice in Wonderland sprinkled in. Intrigued, we were too! The fun doesn't stop with this post, you can find every last, adorable image from Jessica Grenon in the full gallery here! 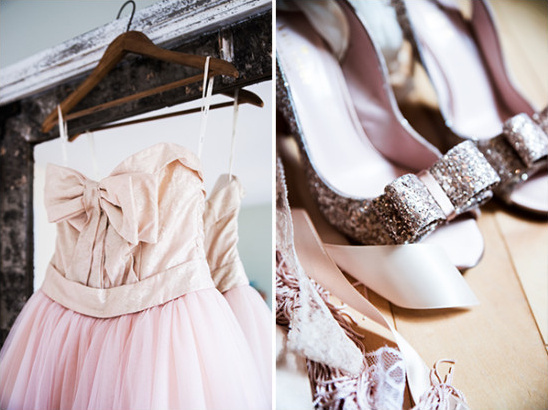 This amazing day was packed full of details you simply cannot miss! 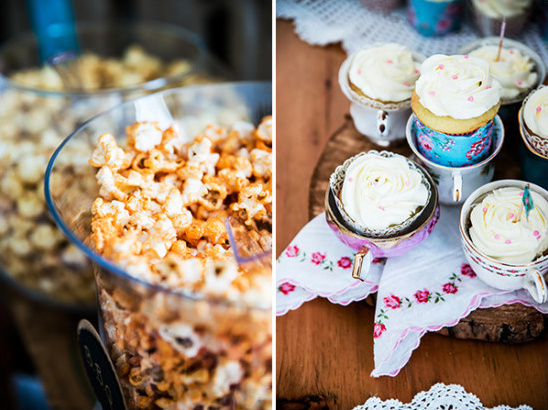 From the Bride: We were inspired by Alice in Wonderland’s tea party to create our wedding. I wanted something out of the ordinary and something that represented us. 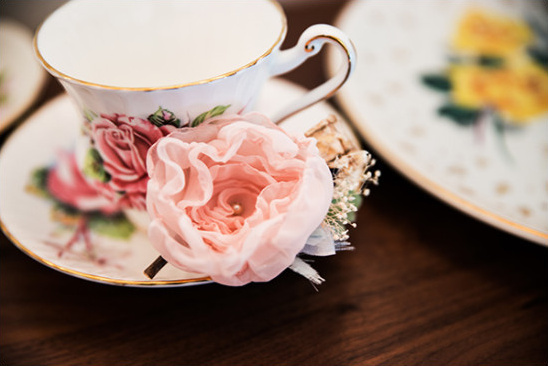 We went for a tea party theme since I am a huge fan and collector of vintage bone china (mostly teacups and teapots). 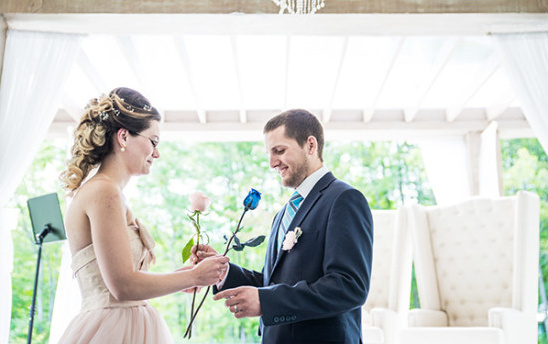 We added a rustic twist to our theme to add a more masculine side to our wedding. Most of our wedding were decorated with DIY either made by me or Mlle Artsy. Our ceremony venue was already really beautiful with the nature surrounding it so we didn’t have much to do. 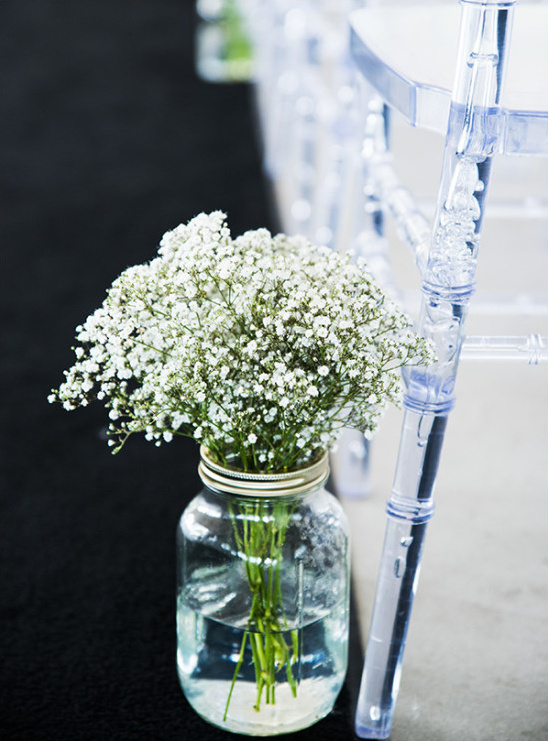 We simply decorated the aisle with large mason jars that I filled with Baby’s breath from Costco. 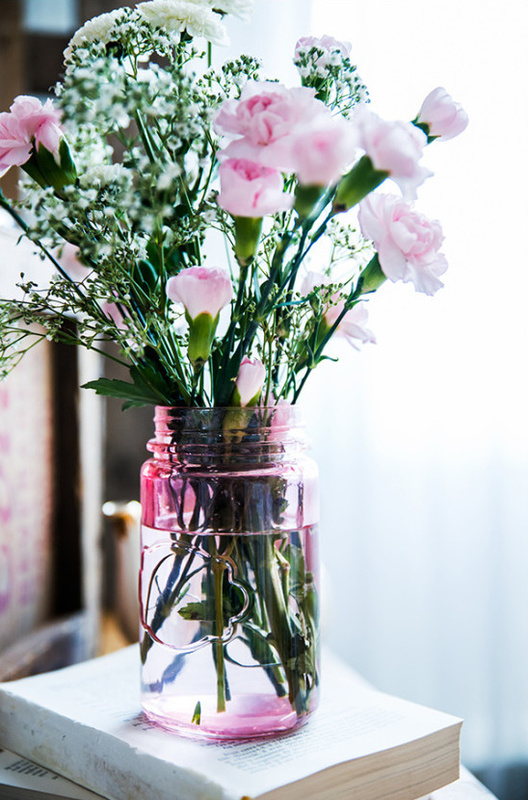 Each table was decorated with a centerpiece made of vintage brass candlestick with handmade fabric peonies that matched my bouquet, a table number that was engraved into an old book, some doily, a mason jar and teapot with some baby’s breath and a wood slab. 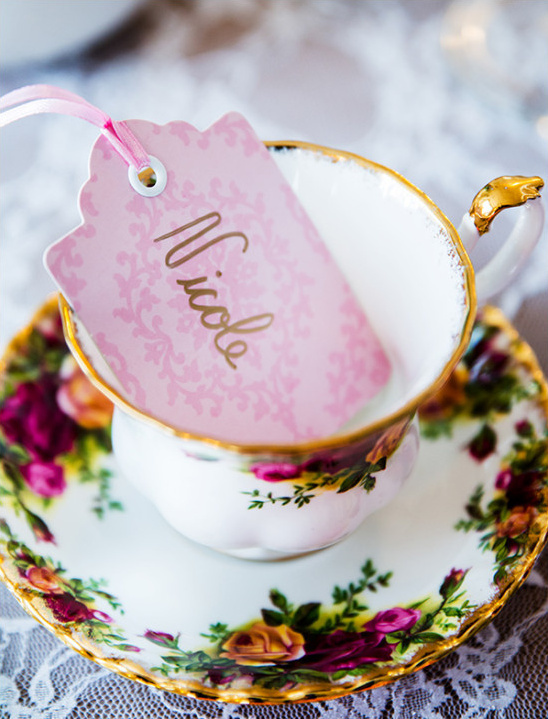 Each of our guest also had a small teacup with their place cards and a hand tied pink cloth napkin. 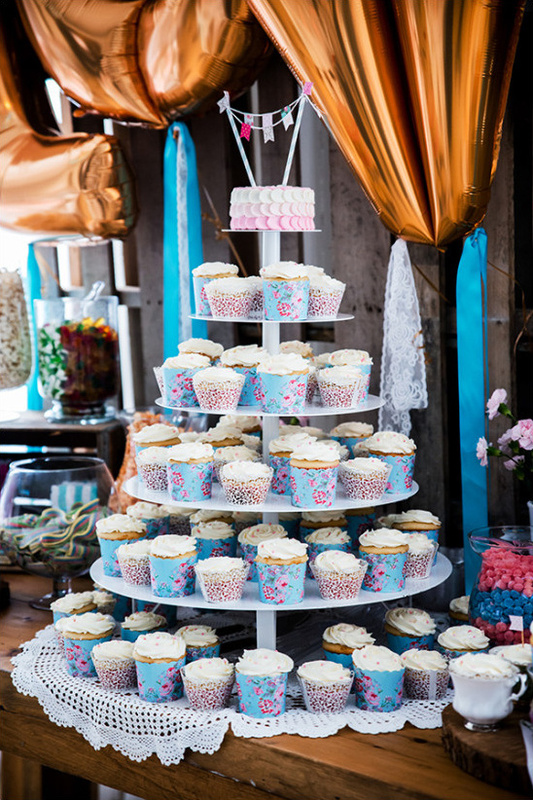 One of our family members made the cupcakes and we displayed a few in some small teacups. So cute! We also used a few other wood crates to lay out our different kind of popcorn and candies. 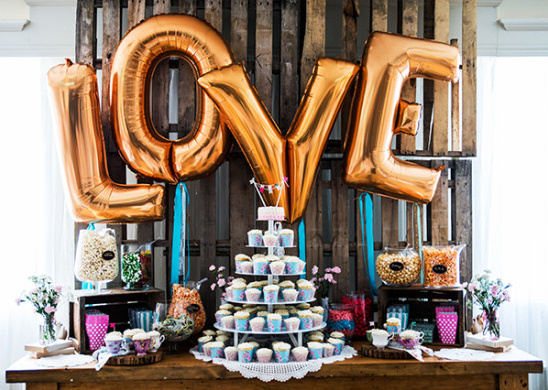 Our wood pallet and huge LOVE balloons made for the perfect backdrop! 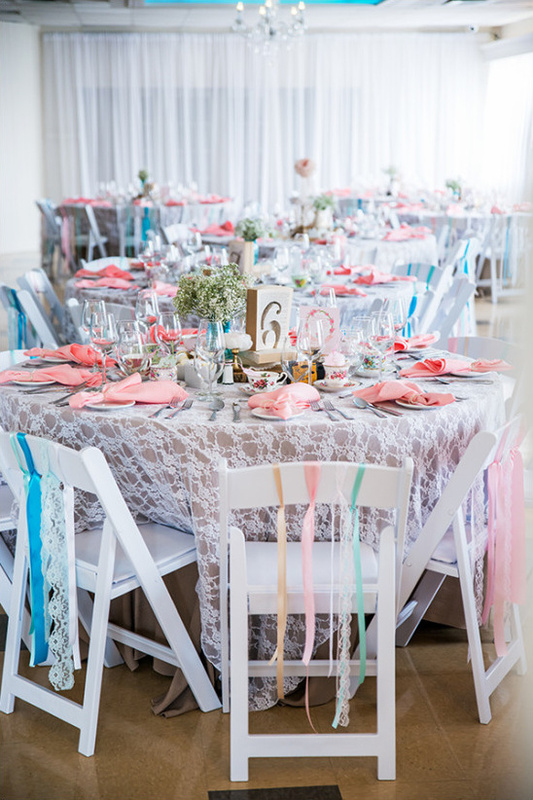 In the entry of our reception we also layered out multiple swatch of fabrics in our color scheme for our guest to write their wishes. After the wedding, I put them all together to create a blanket. 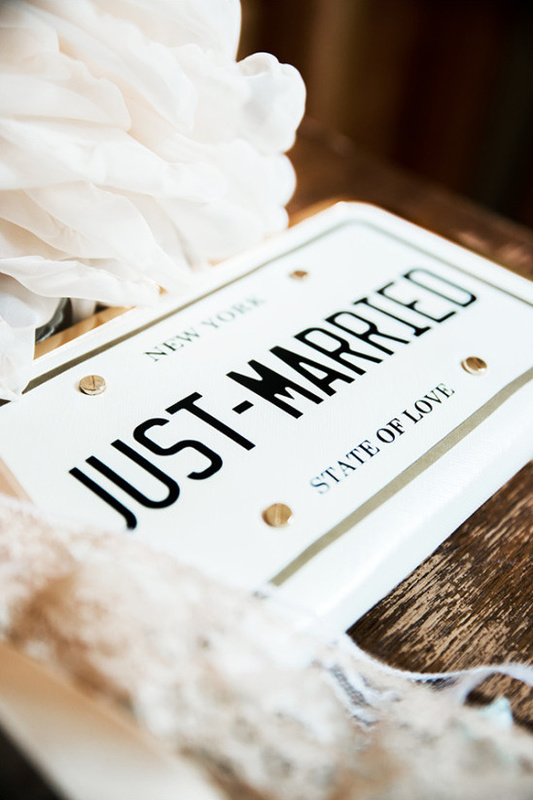 Makes for a great memory of our wedding.